I first encountered professor-gone-author Annis Pratt when a previous map client recommended my services for Annis's series of published novels. 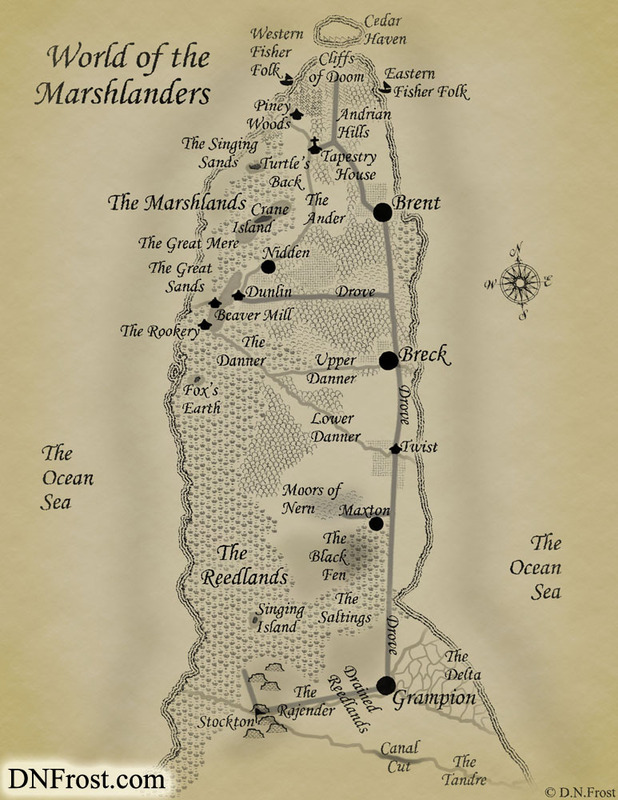 Annis writes eco-fiction, promoting a sustainable and ecologically-friendly paradigm through the adventures of the Marshlanders in her invented world. I said hello and clicked eagerly around her website, absorbing a cool sense of the world Annis had created. Then I invited her to connect with me for a map estimate when the time was right. 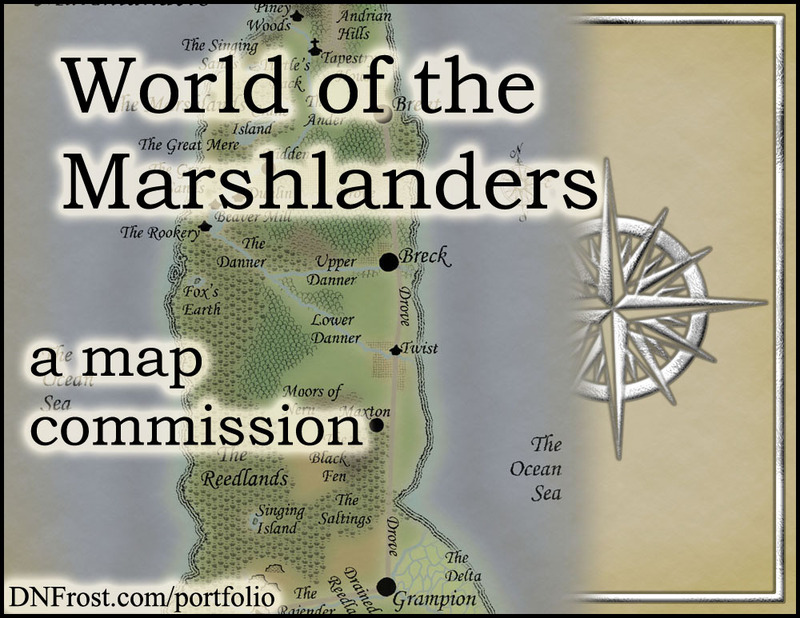 After a few months, Annis was ready to tackle her map, and I was thrilled when she contacted me to get started. 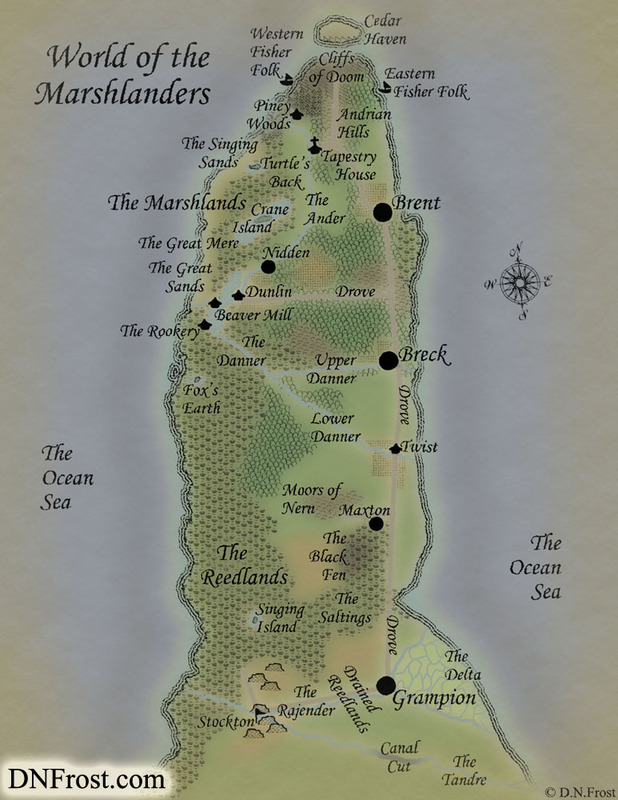 Annis provided me with a few pencil sketches of her world, and I started on a commission estimate for the entire map. We discussed her map needs and budget to finalize our map plan, and I created her initial render. I sent the mock-up to Annis for consideration, and she decided to commission the project. That's it for this post! Up Next: Laying out tons of topography... Coming soon.